When you independently want something, when you’re ready and willing to make your mark in life, such as to begin a new career or start that business, what most will do is wish for a lot of things. This could be instantly landing that ideal job, or immediately having customers pounding at your door or website, without spending any effort or money on marketing. Realize that the process of “wishing” for something, is weak willed. Once you wish for something, what it fails to do is activate intentional action. Realize that wishes are just mere thoughts, which is similar to dreaming when you’re awake. Wishful thoughts are wispy, not grounded, and lacks foundation. 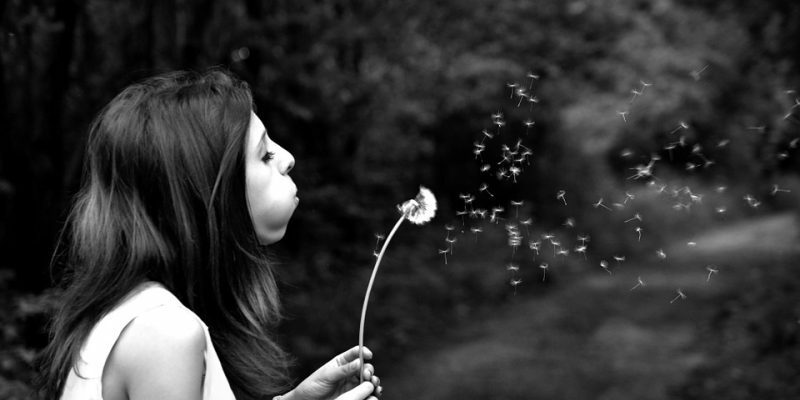 Wishes are future oriented. To get what you want, what’s required is intentional focused awareness, on what’s currently happening in your life. For it’s the immediate, your current circumstances in life, is when you can make things happen. While wishing is fine, there needs to be a plan to convert it into intention, which points to what you want the most. So what you need is to draft a plan, develop a strategy to reach those goals. The strategy, then needs to be broken down into easily executable action steps. Taking action is the key, to reaching what you want. Transferring a wish into a vision, begins with creating forward momentum, the willingness to move ahead. The hazard of wishing, is that it wastes time by tying you down to an uncertain future. What wishing does, is removes you from the present moment, and projects you 5 steps ahead of where you should be. The only place where you’re able to make change, is right now. So instead of investing your time and energy wishing what you want in the future, think of what you can do today, right now. What action you can take in the next few moments, to create that future. Wishing is glorified daydreaming, which lacks vision. An intention on the other hand, is a definitive thought or statement on exactly what you want to accomplish. The energy that surrounds wishes are ephemeral, while intent is focused energy. Think of where your mindset is, when you say you’re “wishing” for something. Instead, change that to “I intend to” followed by what you want to accomplish. Notice the energy shift of the statements. Thoughts are extremely powerful. What you think of the most, gets imprinted on your mind, and it has no other choice, but to manifest into reality and into our lives, career or business. Wishes however are ill defined. If you’re wanting to customize your future, your thoughts needs to be intently focused. They need to be precisely defined, clearly articulated, and specific about the outcome. What wishing for things does, is burns volumes of productive time. Wishes have too many options, and question marks. Playing the “what if” game may be entertaining, but is extremely time consuming and lacks value. Wishing for that ideal job, or wishing for more customers, is a waste of energy. But taking action by sending out resumes, or making cold calls, is an intentional act. So clearly define the next step you need to take, to make things happen. Wishing is a game of fantasy, similar to making resolutions, where there’s no action that’s taken or implied on your part. It’s just a process of mental machination, where you wish, wonder and hope. Wishing never accomplishes anything, as you get easily distracted. There’s no pressing need to grow or learn new things, or to step out of your comfort zone, when wishing. Having intent however, is a direct road map on what you want to accomplish, which requires taking action. Having intention moves you fast forward, to fulfilling your goals. Wishing is comfort food, for those who are scared to step up and play with the big boys. Having intent, forces you to take action, forces you to step up, which turns into results. Then once you take action, it becomes easier to remain in action. Since wishing isn’t rooted in clarity, and doesn’t call for any type of action on your part. What it can often lead to, are feelings of failure, sadness, malaise, and procrastination. There’s no progressing forward. There’s no vision of a final outcome, this because wishing doesn’t require any type of change, from where you’re currently at. It’s similar to always being on the outside looking in. It’s about hoping and wanting, waiting for someone else to do the work for you. There’s no energy that’s generated, to open up doors to new opportunities. Someone who’s constantly wanting and waiting for things and situations, will forever feel left out, because they never take action. They become an expert in everything, a know it all, but have nothing to show for it. Wishing is strictly a mental process, where there’s nothing else that needs to be done or changed. It’s a continuous exercise in futility. You’ll never get what you want. This can lead to negative thoughts and disappointment. The feeling of not being good enough, or you don’t deserve it, or that you’re cursed. All that’s required, is having intent, becoming focused and then taking action. You’ll feel stuck, when you can’t move yourself beyond wishing for something to happen, as it’s a futile mental activity, that leads to nowhere. Although intentional thinking is also a mental activity, the difference is that it’s grounded in focused thoughts, coupled with a plan of action, a road map, that leads to results. What eventually happens, is that frustration sets in. It becomes extremely aggravating, because there’s no hope. Wishing for something will never lead to a different outcome. Nothing will rarely come of it, the circumstances will never change. Frustration then sets in, as the realization that what you wish for, won’t ever come true. So change your thoughts, become more intentional, then take action.